©1981 E.B. Sledge (P)2013 Audible, Inc. 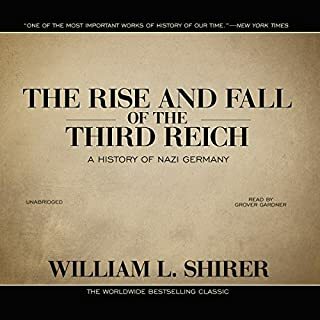 This is an amazing book to listen to. A lot of graphic details of the atrocities of war. Young people should read this book in order to get a glimpse pf what other generations had to endure. armed forces ervice vets, emergency services, law enforcement vetrans, will be able to relate to the emotions of this book. in that we have common ground. THANK YOU FOR YOUR SERVICE, SACRIFICE AND ENDURANCE TO WALK ON THERE AFTER... Peace Be With You. 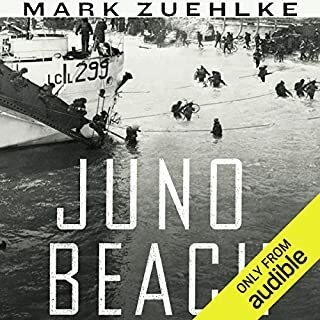 Personal listen to this book after watching the pacific. Stunning really makes it an amazing listen or read. Narrator was amazing especially after associating that voice because of the pacific. Very intense from start to finish. Couldn’t stop listening! I will recommend to others for sure. 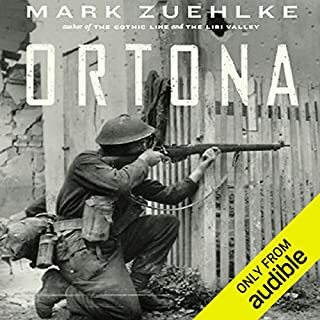 Narrators matter and it is rare for me to buy an audiobook that I already own, and enjoy just to hear another perspective in the way it is read. But this book lends itself to the two pretty much different voices. Sledge wrote this book about his combat experience in his maturity. I think like many veterans of war, especially ground combat. some distance, in terms of years, often decades, is required to tell the story. But E. B. Sledge lived it and survived it, and not just physically, as a young man. 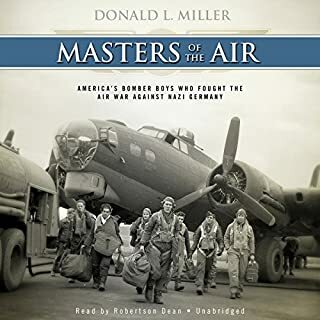 George Wilson does a terrific job of telling this story as an adult explaining what happened, in the voice of someone who not only survived, but is strong enough to remember and acknowledge the ordinary people who accomplished remarkable things, good, bad, and horrific. The drama comes from the written word, and Sledge does not add many flourishes. The stated facts of what he saw and experienced do not need them. 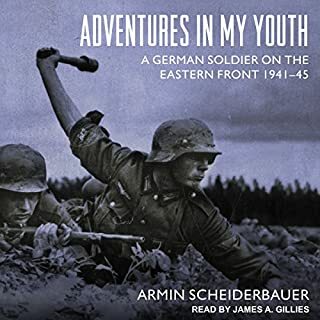 Marc Vietor reads in the voice of the young man experiencing the fatigue, terror and even humor, of the ground combat soldier in the Pacific of World War II. It is good to remember that Sledge and his fellow marines were very young. In another time they would have been deciding what they would do when they grew up. In that time they were just trying to stay alive to grow up. I am glad I indulged myself and bought both books. “With the Old Breed” is the war diary of E.B. Sledge (a.k.a. “Sledgehammer”). Although not an author by trade Sledge is obviously very intelligent and well-spoken. He writes like he was telling the story to his family, which is, in fact, apparently why Sledge wrote the book in the first place. 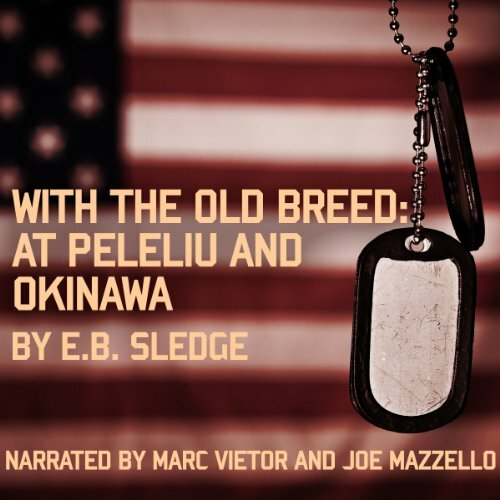 Sledge describes his experiences at the battles of Peleliu and Okinawa, but also describes his training prior to the battles. The scenes are graphic and disturbing at times, but no doubt accurate. As for the narration, Mazzello is a good actor, but a little slow. I’d recommend listening at 1.25% speed at least, or else it just drags on. 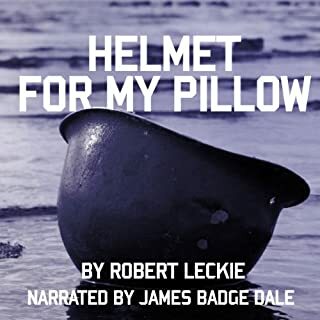 “Helmet for my Pillow” is Robert Leckie’s account of his experiences in the war. Leckie fought at Guadalcanal, New Britain, and Peleliu, but also writes considerably about his “debauchery” in Australia between the battles. 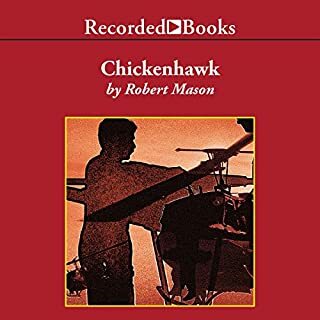 His prose (and even his poetry) are quite well-written, and you get a good sense of what life must have been like in the Pacific when the fighting was not going on. The book is also well narrated. Dale tells the story with good pacing, tone, and vocal color throughout. (By the way, Tom Hanks phones in his introductions for both books, which is disappointing). In comparison, although there are many similarities to the realities of war, the books are very different. Leckie’s book is much better written than Sledge’s, but perhaps not as engaging from a story-telling perspective. Also, these two Marines could not be more different in character. Sledge is a boy-scout, whereas Leckie is a rogue, spending it seems more time in the brig, than in battle. This is not likely a fair comparison, given the horrific things both privates had to put up with, but Leckie comes off as less sympathetic than Sledge. Overall, if you choose only one of these two books, I recommend “With the Old Breed,” but really I’d recommend both books to anyone, even those not interested in history. These are not stale accounts of dates and locations and troop numbers. 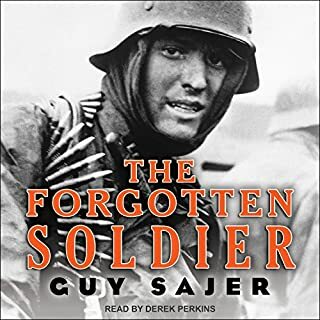 These are firsthand accounts of the horrors of war, which is something later generations (such as my own) luckily have not experienced to this extreme. The people Sledge and Leckie describe are real people, not just characters. When they died, or were injured, or went crazy, these things really happened, which is, I think, something worth remembering. 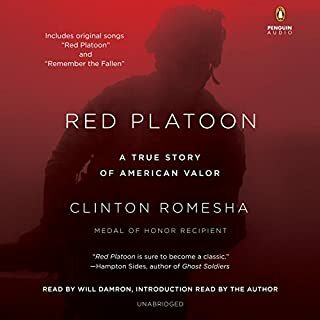 Read the book(s), and thank a veteran when you see one. 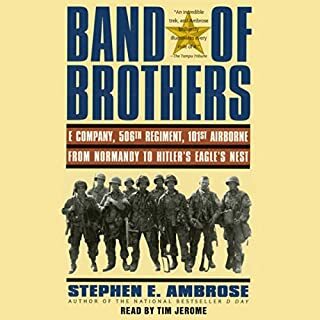 Where does With the Old Breed rank among all the audiobooks you’ve listened to so far? This is one of the most riveting stories of war that I have read. I have read many first hand accounts on WWII and other wars. 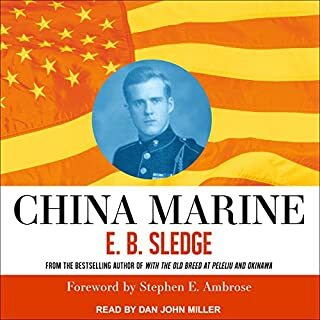 None have gone into the horrific details face by EB Sledge and his fellow Marines. His book brought home the full horror of war in the pacific. Since the story is about EB Sledge and his fellow marines, Sledge is the favorite character. 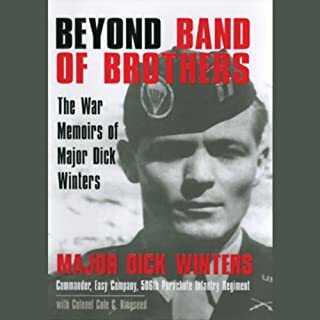 However, He describes many other of his marines in ways that I wish I could have read their stories too. I grieved for the marines and the horrors they had to face. But I was warmed by the courage they showed. I am glad the US Marines are still around to keep the county safe. GREAT BOOK AND NARRATION. WORTH YOUR TIME. A great history of a tough breed of everyday guys rose to the challenge and in the face or hardship and death became heroes. The narration was great. There was a humbleness about the author who lived and fought through that troubled time. You will not be disappointed. 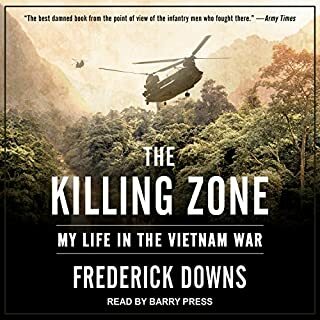 Easily one of the best audio books I have ever heard. Stellar performance with an intense and exhilarating story. 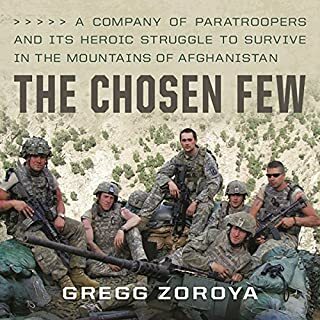 The best war memoir you will ever read. 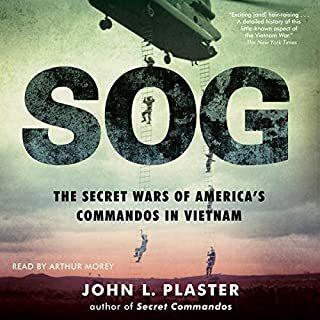 This is indeed greatest war Memoir I have ever read. Normally, with first hand accounts there is a lot of bluster. However, E.B. Sledge's writing is void of any bravado and it's truly an amazing story. 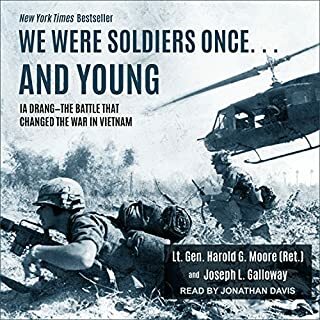 The book will really give you a deep appreciation for what these Marines went through and the brutality that they had to endure. The totality of the conflict in which these young men were swept into is really awe inspiring. I think everyone should really read this work. 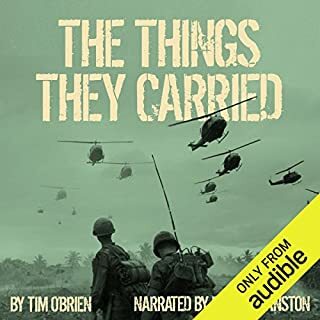 Like nothing I've ever read, it covers the emotional toll and all of the deprivations, inhumanity, and general nastiness of my profession while remaining proud of the accomplishments of the Marines in the Pacific Theater of Operations. No "dulce et decorum est" account, this is enough to make anyone question the madness and waste that is war. 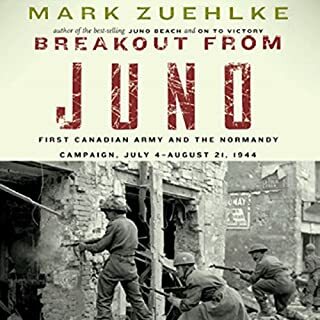 I appreciated the personal window into Sledge's internal conflict and terror as he underwent his baptism by fire, and as he fought through and observed the campaigns on Pelelieu and Okinawa. One of the top reads! This read transports you to the islands of the Pacific where you truly walk amongst the "Old Breed" fighting off the Japanese, disease and exhaustion as you trudge on through the hardships the Marines suffered during the great war! Joe Mazzello returns as Eugene Sledge and enables the reader to continue his life where HBO's "The Pacific" left off. It was engaging and having the stories told by Mazzello felt like you were reliving history with Eugene!